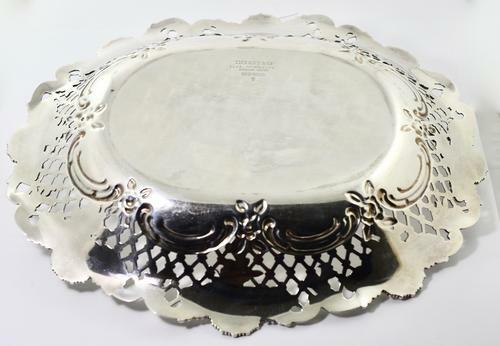 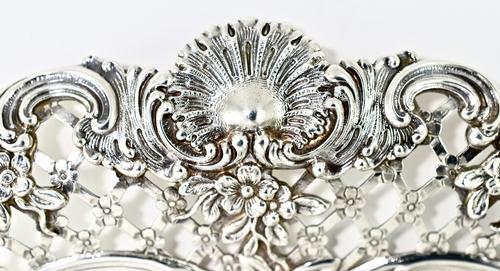 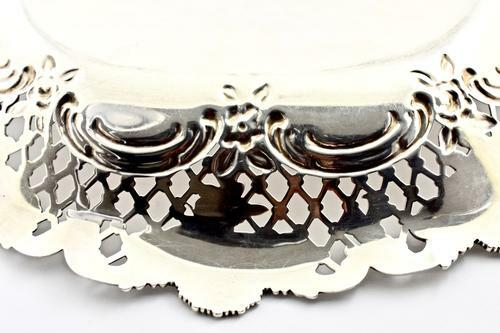 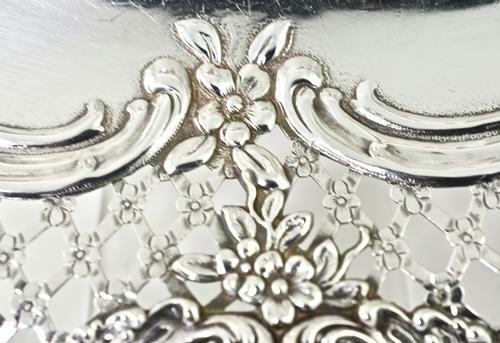 Vintage Tiffany and Company sterling pierced ornate bowl with incredible workmanship. 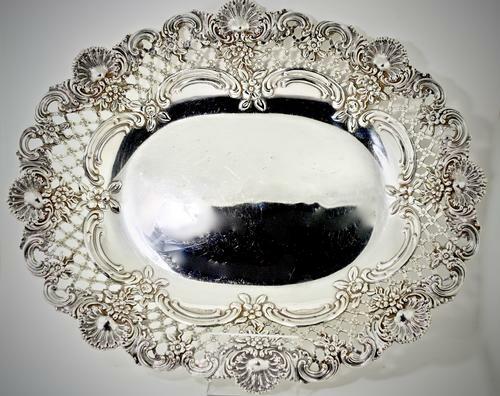 The bowl is 11 in ches in length and 9 inches in width and weighs 17.5 troy ounces. 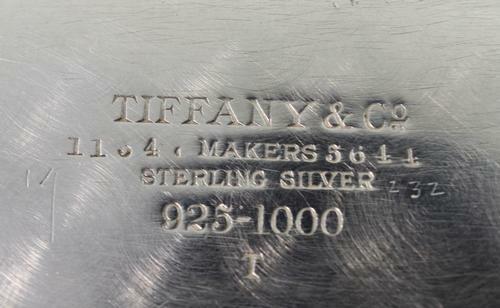 The bowl is unmonogrammed but has a non-distracting light dent in the base.